Blood, the red colored fluid that runs all through the body, makes us run our lives with ease. It delivers the essential nutrients, oxygen and other essential components to the body. 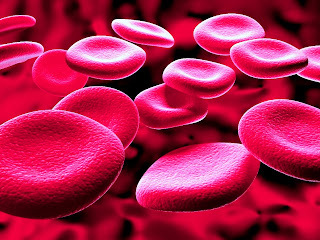 Ever since Landsteiner discovered and classified blood grouping the need for typing the blood group keeps on increasing. Over the days scientists had discovered much easier and quicker ways to type the life saving fluid. Now it’s the turn of Gil Garnier and colleagues who have developed a much economic and rapid test to identify blood group using simple paper dipstick. The scientists have developed a prototype paper strip embedded with antibodies to blood antigens that determines the blood group. The scientists have showed that when a drop of blood was placed in paper strip caused a color change which determines the blood group and those results were accurate to that of conventional blood grouping. The costs of the test work out to a few pennies which definitely is good news to inhabitants of developing countries and promising to promote the health standards of those people. Keywords: Blood grouping, Paper Dipstick Blood Grouping, New Blood Grouping Method, Blood, Blood Red, Gil Garnier.